How Much Housekeeping Should You Be Expecting From Your Nanny? There’s no question that nannies make the world go ‘round for the families who employ them. Many of them take on everything from serving up healthy snacks to carting the children to Tuesday afternoon soccer practice. But before nannies can commence with being full-time superheroes, parents have to decide which household tasks should fall under the nanny’s purview. And one of the most common questions parents have is whether or not it’s appropriate to give their nanny housekeeping duties. The truth is, nannies do often take on a lot of tasks that fit under the umbrella of housekeeping. That said, the nanny is not a housekeeper. A nanny’s main focus is caring for the children, and that means almost everything she does will be related to that core responsibility in some way. On a day-to-day basis, nannies typically prepare meals and snacks for the children, tidy up their play areas and bedrooms, clean up after any activities, and drive children to and from extracurricular activities and playdates. They may straighten the bathroom after bathing the children or helping with teeth-brushing and flossing. They may also lightly tidy the kitchen after meal times. In the long term, many nannies also take responsibility for other important tasks related to the cleaning and organization of children’s spaces. For example, nannies might be in charge of regularly disinfecting toys and keeping play areas dusted and vacuumed. The nanny may be the one who decides how the play room and children’s bedrooms and closets are organized. Nannies may also supervise older children in performing chores. Seasonally, nannies may take inventory of children’s clothes, removing items that are worn or no longer fit and noting what is needed on the next shopping trip. Nannies also keep inventory of essential items that are needed for the children, like diapers, baby wipes, and formula. For the most part, nannies are the managers of everything related to the children, and that means that yes, some of their duties do involve housework, cleaning, and organizing. But, even though that’s the case, nannies typically don’t take on the bulk of the household chores. The nanny is not the one who scrubs all of the toilets or mops every room in the house. Occasionally, nannies may take on additional household duties, like meal planning and/or grocery shopping for the family, running special errands, and managing small household projects, like keeping the pantry and kitchen organized. If a nanny is expected to take on a number of additional housekeeping or personal assistant-style jobs, it’s important that he or she is notified of those expectations up front and compensated for the additional work. It’s also important to note that not every nanny will be interested in taking on a large number of additional housekeeping duties. Childcare is a full-time job on its own, and it is the main responsibility of the nanny. It’s necessary to think carefully about your nanny’s time, workload, and how much he or she can realistically fit into their schedule. If you do plan to have your nanny take on any housekeeping duties, it’s important to list those expectations in your initial job description and outline them clearly in the nanny’s work agreement. This ensures that the nanny knows exactly what is expected in his or her role and helps to avoid responsibility creep. Nannies work incredibly hard for the families who employ them and play such a vital role in children’s lives. The last thing you want is for a terrific nanny to feel blindsided by a much longer to-do list than was initially expected. As a nanny I usually do all things child/children related within limits. 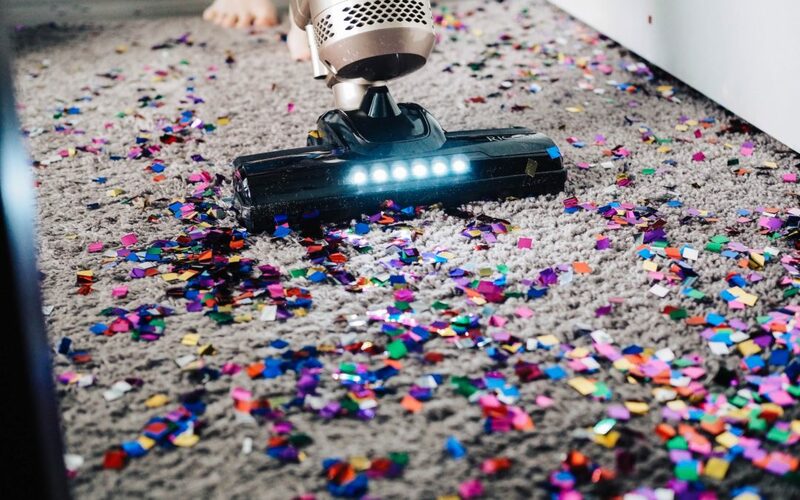 However, there are parents who say light housekeeping which as nothing to with the kids, or messes that they created with the kids that was left until the nanny returned to work or just simply the parents mess which later turns into heavy housekeeping. Sometimes parents ask for a favor then later its what’s expected basically becomes part of your job. With that said, there are some parents who knows that there is a difference between a nanny and a housekeeper and act accordingly. So glad this is written somewhere! It’s so important to communicate duties and both be in agreement of what is in the nanny’s to do list.